No rules. No speed limits. Just pure fun! 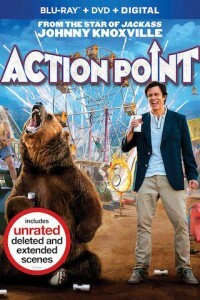 Johnny Knoxville stars in the outrageous Action Point DVD. Chris Pontius, Johnny Knoxville, Steve-O, Bam Margera, and the whole crew return to the screen to raise the stakes higher than ever before. .